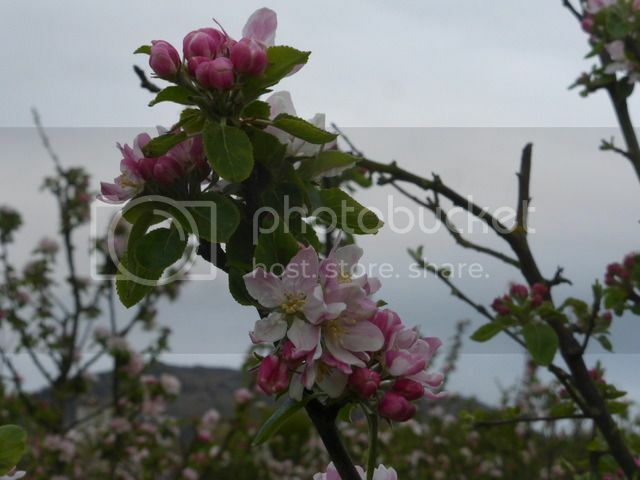 Posted: Sat Apr 22, 17 7:06 pm Post subject: Of Apple Blossom and a Knife. 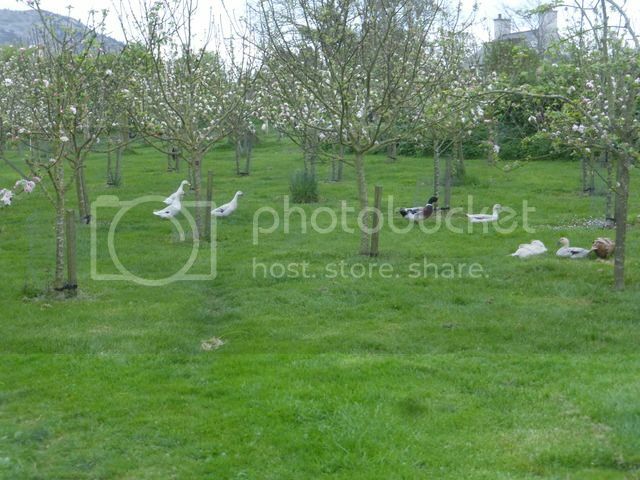 Its only half an hour ago since I walked through the orchard to go and check on the chickens. The smell of the apple blossom was positively heady, its a fantastic time of the year. 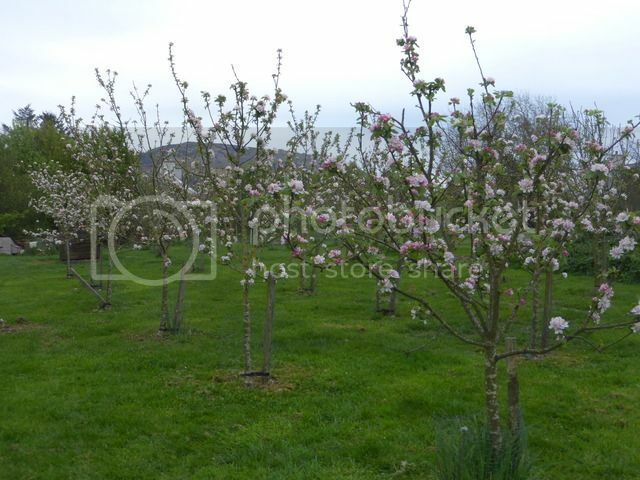 The eating apples that we have here �have been in full bloom for the last couple of days, though the cider varieties that we grow, are still several weeks from blossoming. Future Red Windsor and Worcester apples in the making ? Lets hope so. Our orchard ducks on active slug patrol duty. 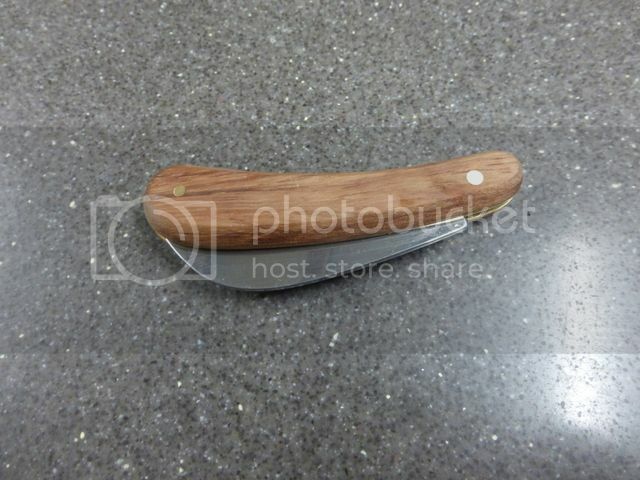 In my pocket I have a brand new 'Felco' Swiss pruning knife with a nice to feel in the hand wooden handle. :chufted: �A few weeks ago I did a freeby mole catching job in a friends garden and on Thursday he dropped this beauty off for me in return. I didn't expect anything but needless to say, I'm dead chuffed to have it. You can't beat having a good knife in your hand, both in the garden and on the smallholding. Oh yes and a piece of bailer twine too of course. Felco make seriously good kit, nice way to say thank you. @NMG Lidl do multi-sided diamond sharpening blocks every so often. Worth keeping an eye out. Lovely apple blossom Bodger. Ours are just starting, as is the quince, but I don't think our trees quite constitute an 'orchard'. As you say, all you need is a knife and perhaps some baler twine. 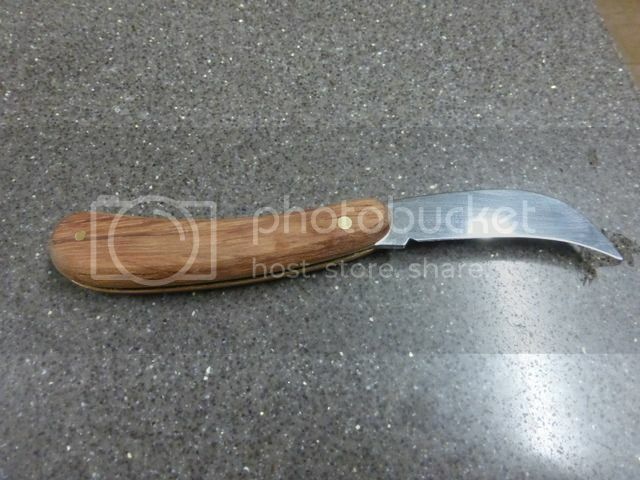 I often carry a 'mora' type knife with me to do some green wood work, and frequently wander around the woods with a knife, a bill hook and some twine. We've been cutting brambles this morning and there's loads still to do. I hate the blimming things ! Not with my knife I hasten to add. nice trees, i have a very similar shaped constant companion but mine is an antique sheffield one. they are ace for pruning and a huge variety of other day to day chores ranging from trimming veg from the fishboxes to field stripping the beats as it slurps vacuum cleaner head to remove tangled fibres..
ps a dab of linseed oil on the wood plates is a good idea as pockets can get damp. Love the pictures Bodger. Great time of year for the blossom. I was out on a walk earlier and the wind was blowing the cherry blossom off a tree, looked like it was snowing. I like Red Windsor more and more, it was the first of my apple trees in the 2010 orchard to flower this year, at the end of March, and is just beginning to shed its petals now. Pretty tree, annual bearing, troublefree and the apples have good flavour for dessert or juicing. This is one of the best apple-blossom years I can remember, trees coming into flower a month early and up till tonight ( chillier by the hour) have had very little stress, its been mainly calm and sunny with a lot of overnight dew. As you say, Bodger, the perfume has been sweet, flowery and appley this season, maybe because there have been so few storms. Looking over my shoulder out of the orchard window, every one of the 40 large trees is flowering in the old orchard, only about ten still to come in the new planting. We had several hours of snow and hail today. Glad my apple trees are nowhere near blooming. It's the wild fruits in blossom at the moment : the sloes and the geans I'll be worrying about. I think it has been a good year for both tree and other blossom this year. The flowers have been superb. It has been an early year for us in the south. Most of my apple trees are now coming into flower, except for one that is a late variety. The quince is also covered in flowers, so hoping that they will survive the cold weather this week and set all right. Just an 'aside' Bodger, do you graze the grass or cut it regularly? If you want grazing then get some (buy, beg or borrow)' Shropshire Sheep, they don't attack trees! They are sometimes called the 'Orchard' sheep.